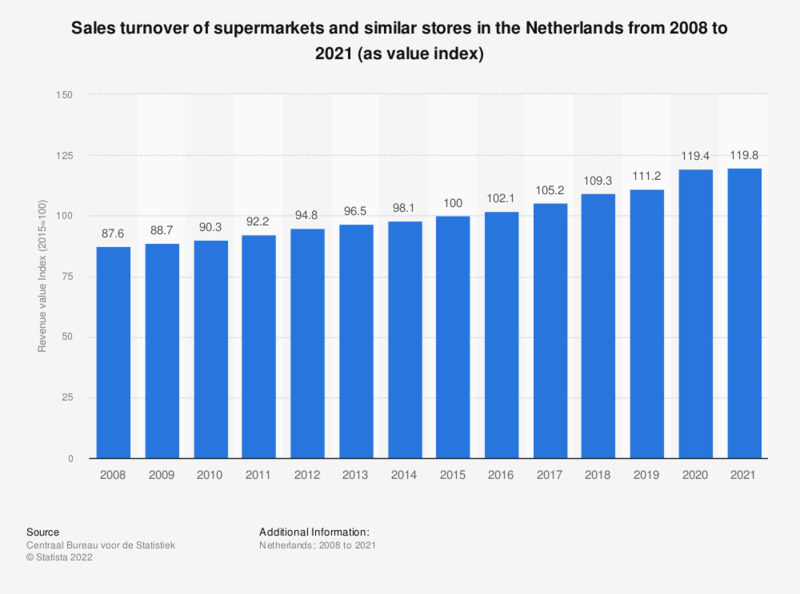 This statistic illustrates the trend in retail sales turnover of supermarkets in the Netherlands annually from 2007 to 2017. Turnover of Dutch supermarkets increased over time between 2007 and 2017. "711 Supermarkets and simlar stores: Supermarkets, department stores and similar non-specialised stores."